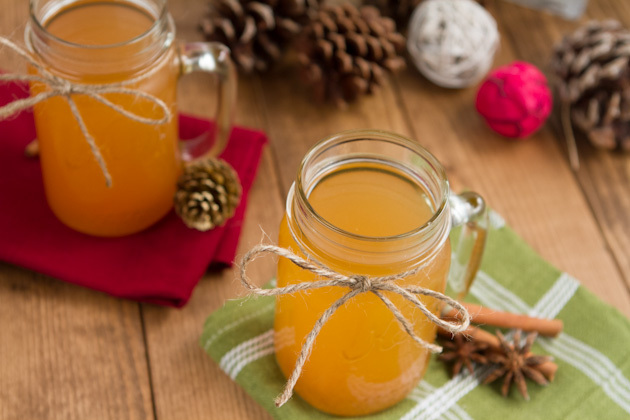 Hot Apple Cider with Superfood Power! I’m a Rocky Mountains girl through and through. The peaks draw me in with their magic, captivate me with their beauty and pull on my heart strings. I feel more at home in the shadow of a mountain than I do anywhere else in the world. When it came to decide where Mom, Dad, Christina and I would go on a little outing yesterday, Banff was an obvious choice. When we were kids, Mom and Dad would take us out to Banff around this time of year to visit the Christmas store. They served hot apple cider by the mug-full for each and every person that entered the enchanting place. We would walk around with our little treat; which I’m sure was just a tiny dixie cup come to think of it, and look at all of the Santa things… such great memories. Guess what we did yesterday? That very same thing! But they’ve since stopped serving hot apple cider. 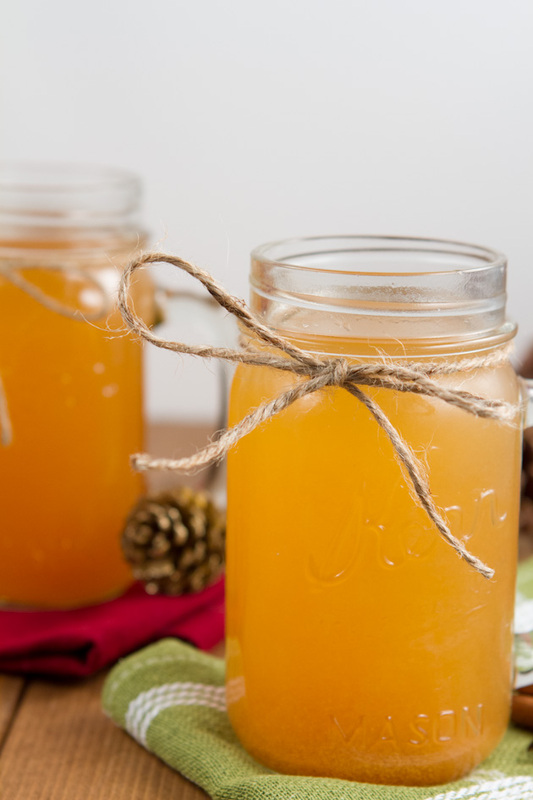 But no worries, I loaded up on homemade cider before the trip. Plus, my version is loaded with superfood awesomeness and doesn’t have any sugar! What’s so superfood about these common ingredients? Cloves contains significant amounts of an active component called eugenol, which has been studied on the prevention of toxicity from environmental pollutants like carbon tetrachloride, digestive tract cancers, and joint inflammation. These little guys are an excellent source of manganese, a very good source of omega-3 fatty acids, vitamin K, dietary fiber, and vitamin C and a good source of calcium and magnesium. Cinnamon is a anti-microbial powerhouse and seasoning a high carb food with cinnamon can help lessen its impact on your blood sugar levels. How? Cinnamon slows the rate at which the stomach empties after meals, reducing the rise in blood sugar after eating. Cool, right? Cardamom stimulates the digestive system and is a natural detoxifying herb. 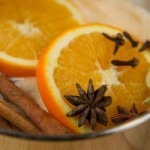 Star anise has been shown to help alleviate headaches. Ginger promotes the elimination of intestinal gas and relaxes and soothes the intestinal tract. Research has revealed that ginger possesses numerous therapeutic properties like boosting the immune system, reducing inflammation and boosting the cell death of cancerous cells. 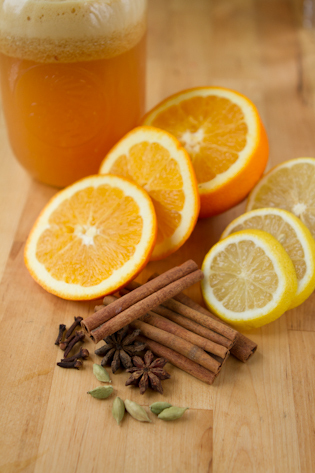 Lemons & oranges are loaded with Vitamin C, a vitamin that helps us heal free radical damage. Moral of the story: you don’t have to buy fancy superfood powders and supplements to get some superfood action in your life! Lightly adapted from Organic Authority. 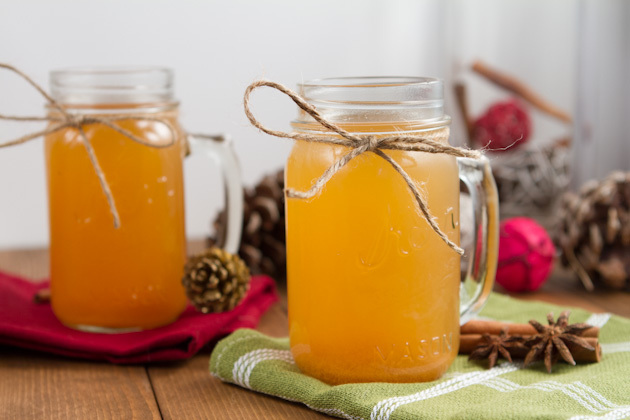 Easy apple cider recipe packed with superfoods that will benefit your health, one sip at a time! Cover and heat on low-medium heat for 20 minutes. The mixture doesn't need to boil. Just get it warm, up to around 170F or so. For a sweet juice use apples such as Gala, red delicious of Macintosh. For a tart juice, use apples such as Granny Smith or Pink Lady. 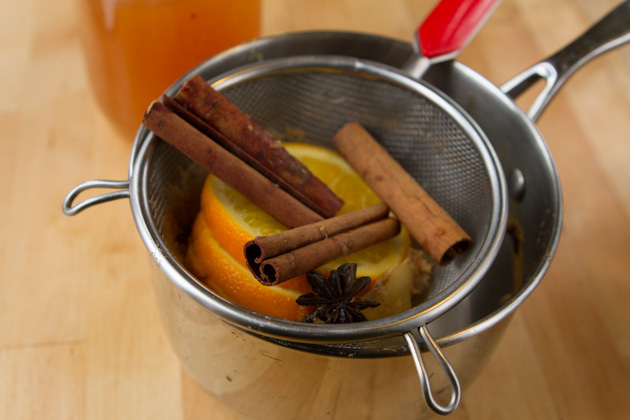 Keeping the cider just under a boil will ensure that you’re not killing off the enzymes in the apple juice. Just heating it will combine the flavors and keep many of the nutrients in tact. 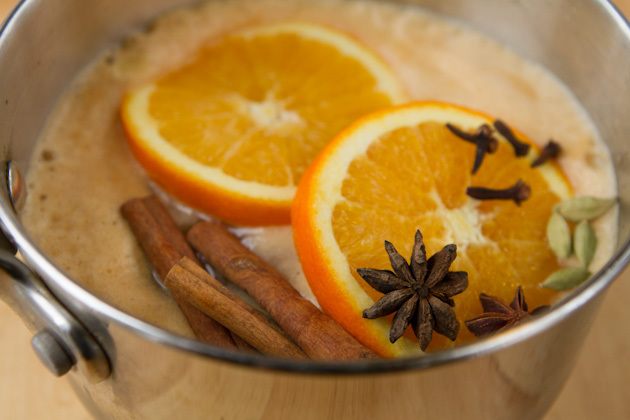 When you’re done, strain it and; if you’re feeling a bit festive, place the strained ingredients back in a pot of water and bring to a boil to infuse your home with cinnamon spice amazingness! Now, all you need is a good book, a blanket, and a warm spot on the couch!